2018 was one of the busiest years in DanceSyndrome’s history. It was the year we celebrated 5 years as a charity and we celebrated in style with a variety of inspiring performances, national media coverage, several awards/ accolades and our own awards ceremony and party to round it all off! Here we share some of the highlights of this incredible year! We started the year celebrating having two films shortlisted for the national Charity Film Awards, the films both made it through to the final 10 in their categories and we were absolutely thrilled at the level of interest these films generated in DanceSyndrome’s work! 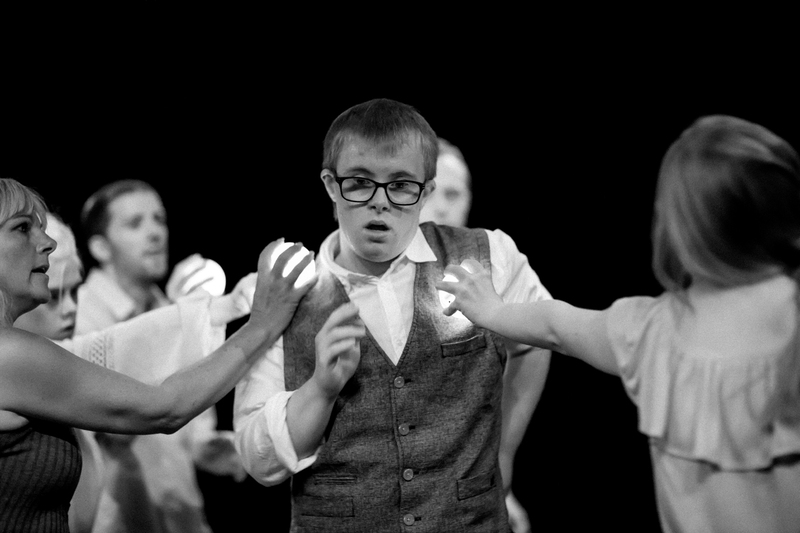 Two films about DanceSyndrome have been nominated for Charity Film Awards. Please could you help us by voting for them at the following links? At the start of the year, we also welcomed new trustees Chris Hatton, Chris Robson, Cristina Bowman, Julie Nicholson, Sam Leonard and Samantha Blackburn and Vicki McCorkell to our dancing family, and are grateful for the incredible contribution they made to our 2018 successes. You can read their biographies on our About Us page. 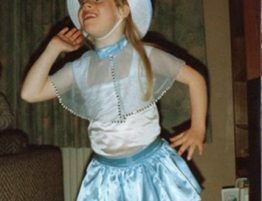 March is always an important month for DanceSyndrome as we celebrate World Down’s Syndrome Day and national Down’s Syndrome Awareness Week. It is imperative to us that we communicate our “ability, not disability” message during this time and show that people who have Down’s syndrome have hopes, dreams and talents just like everyone else. In 2018 we worked with the Press Association to create this heart-warming film. Also in March, our dancers took part in a professional photo shoot with Nicola Selby Dance Photographer. For many of them this was their first experience of this type of photography and we were completely blown away by their professionalism and the way that they performed for Nicola. The resulting photographs are a proud achievement for all of us at DanceSyndrome and can be seen on the Gallery page. We also used them in one of our favourite campaigns of the year, with each dancer sharing their own talents that they wanted to celebrate as part of our focus on #AbilityNotDisability! 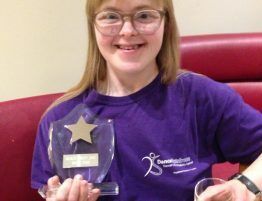 In May our street dancers DStreet Crew were thrilled to perform at the University of Central Lancashire CVCL Awards, with the added bonus that they were there to see DanceSyndrome volunteer Anna James win the Student Volunteer of the Year Award! 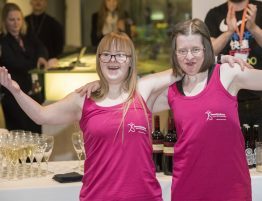 Another fabulous performance opportunity came along in May, when Jen and Becky gave inspiring speeches and a performance at the Small Awards in London. They were incredibly well received and we are hopeful to be involved with this wonderful event again. One of the year’s real highlights came in early June courtesy of The National Lottery’s Big Surprise. DanceSyndrome has Big Lottery Fund project which has been running for over a year now and to celebrate the work we do, The National Lottery took our Founder Jen Blackwell to London where she was very surprised to meet her hero Alexandra Burke! This incredible experience was all captured on film and shown on prime time ITV! In July, our Managing Director Dawn Vickers was thrilled to be a finalist in the Business Woman of the Year Award at the Barclays Celebrating North West Women in Business Awards. Dawn is the driving force behind DanceSyndrome and this recognition was well deserved. July continued to provide special moments, when our team attended the E3 Business Awards and were thrilled to be chosen as winners of the Charity of the Year Award! We managed a short break following the Fringe performances, but it was back to business in September with not one, not two, but three awards ceremonies to attend! Members of the team attended the BIBA business awards on 14th September where DanceSyndrome was a finalist in the Third Sector Business of the Year Award. On the 16th September our dancers wowed the audience with a performance at the BBC Radio Lancashire Community Hero Awards. Then on the 26th September the DStreet Crew performed a special 80’s themed routine at the EVA award ceremony at Blackpool Winter Gardens, where Dawn Vickers was a finalist in the Business Woman of the Year category. It was at this event that the DStreet Crew were asked to audition for Britain’s Got Talent a couple of weeks later! And 2018 wasn’t over yet! October saw yet more incredible achievements for DS Founder Jen Blackwell. Jen was named as one of Shaw Trust’s Power 100, a list of the most influential people with disabilities in the UK! Jen was featured on page 40 of the Power List book, which can be downloaded here. Only a few days later, Jen was also chosen as the recipient of the daily Prime Minister’s Points of Light Award on 25th October. What an achievement! November saw the proud premier of another new performance piece. Naming of the Pals was specially choreographed to mark the centenary of the end of World War I. This was performed twice on the streets of Preston, with incredibly positive audience responses. On Friday 25th November we were thrilled to hold our 5th Birthday Party in Preston. The dancers performed some stunning pieces and we held an awards ceremony in which ever member of our team was celebrated for their talents. The evening also saw the official launch of DanceSyndrome: Living the Dream, the first book to be written about the history of our unique charity. 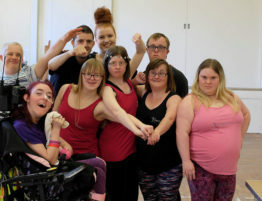 But the awards didn’t stop there… DanceSyndrome was announced as one of the 2019 nominees for the Queens Award for Voluntary Services and we eagerly await the outcome of the judges decision on this! And there were still more! Becky Rich was the proud recipient of the Lesley Finley Community Award which was awarded by Disability Equality (NW) to recognise the voluntary work that Becky does to empower disabled people in her local community! Becky was also delighted to be included in the national Learning Disability and Autism Leaders List. She was one of only 15 people in the UK who were recognised as outstanding leaders in the category of Sports, Arts and Entertainment! All of this hard work in 2018 culminated in two very special magazine articles in December. We were thrilled to be included in a special feature in People Dancing’s Animated magazine called “Living the DanceSyndrome Dream” and Jen and Donna made the cover of Care Talk magazine, with a beautiful story about how dance has helped them to become “best buddies”. We ended the year with this lovely message for our Board of Directors from the Select Team (Dance Leaders), it just sums up the year perfectly! Wow! What an incredible year! We are looking to the future now and are excited about the opportunities that 2019 might bring! If you are inspired by the work we did in 2018 and would like to find out more about how you can become involved, please visit the Support Us page.